No more unwanted calls and messages! 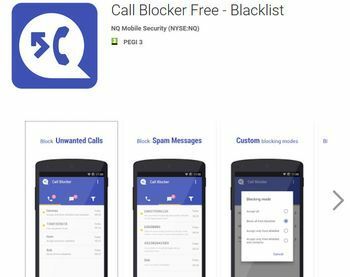 Blocker is the most effective call-blocking app Fully-featured Call Blocker, Blacklist app and Whitelist app. Easily block anyone from calling, sending MMS or texting you. Block unwanted calls, MMS messages and text messages in a snap, with Blocker. No more annoying and unwanted phone calls and texts! Blocker is the most effective call-blocking app for Android, blocking unwanted calls, and letting you control your privacy and security. Phone Blocker is constantly working in the background, to block unwanted calls and text messages. Your privacy is guaranteed, with excellent PASSWORD PROTECTION. Blocked calls don't ring! Send calls to voicemail, or hang up on the caller. Pickup and Hang-up mode, blocked calls don't go to voicemail. Backup - Save all of your profiles, contacts, and logs to your SD card, for easy restoration, or transfer to another device. All Android OS versions from 1.6 to 4.0 are supported. 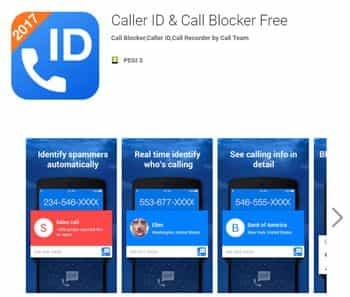 Call Blocker has free Caller ID. Caller ID will show call information during/after calls - even for contacts that are not in your phone book. Enable, disable or configure Caller ID at any time in the settings menu.